Specializing in vintage and collectible media out of Japan - retro video games, laserdiscs, VHS tapes, VHD cartridges, CDs, records, DVDs, inflatable fish and MORE! 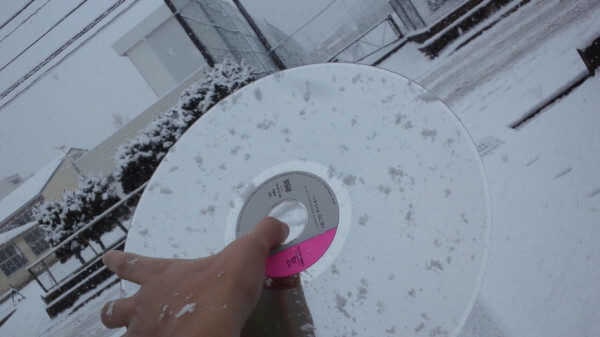 If you covered yourself in laserdiscs and went outside on a snowy day, you'd be pretty much invisible, don't you think? 24 boxes full of laserdiscs (over 700 discs total) arrived here in the middle of the month. Taking up a lot of space and did not make it easy for the Christmas Eve gathering with friends! Getting good at fixing up Famicom Disk System drives. Here's one of the Sharp Twin Famicom system that I fixed up; replacing the belt and fine tuning the drive until it read all discs. I was contacted by an ebayer who had a bad experience with a seller who shipped him a non-functioning disk system. The seller had advertised it as being fixed but apparently did not test it enough. Here at Good Squid, I always thoroughly test each disk drive with multiple games before declaring them 'fixed'. Shipped out a few this month and all arrived in perfect working condition. Below is Nintendo's Racing 110 'Color TV Game' system from 1978 (Model CTG-CR112). This old system hooks up to TVs via an RF switch and only supports blocky shapes and a few colors. Been messing around with the Bandai Pippin system and got a few game in stock for it including Gundam Tactics, Dragonball Z Anime Designer, Pease, and Victorian Park. And finally, currently in stock is this beautiful set of Pioneer LaserActive 3D goggles (GOL-1) with the adapater (ADP-1), still new and unused!!! 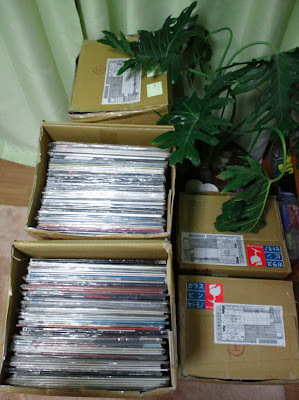 Helping collectors find their Japanese items since 2007. Specializing in music and movie laserdiscs (LDs), vintage video games, records, CDs, VHS tapes, DVDs, betamax tapes, and more! What are you looking for from Japan? HOXXXTON (Hans Fredrick von Liljewahl, 2012 - 2019) - Layout and design by Silver Ferox Design. Horror & Sci/Fi Laserdisc Collectors Union!